We present numerical and experimental analyses showing the formation of (2+1)D spatial photorefractive solitons at visible wavelengths in electrically biased lithium niobate crystals for ordinary and extraordinary light polarizations. 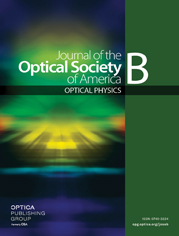 Similarly sized self-trapped beams are observed for both polarizations, despite the polarization-dependent electro-optic coefficients. The tensorial character of the photovoltaic effect is shown to play a key role. The soliton-induced waveguides are able to properly guide telecommunication wavelengths. Finally, a higher degree of anisotropy is observed for ordinary polarized solitons for specific electro-optic configurations, which reveals the presence of the photorefractive field component perpendicular to the applied field. Experimental results are confirmed by a time-dependent numerical model.